Apple's exclusive agreements with artist Future are paying dividends, as the rapper's latest album debuted at No. 1 on the Billboard 200, propelled solely by streams through Apple Music and iTunes downloads. Future's latest release, "EVOL," sold the equivalent of 134,000 copies, topping the charts, according to Nielsen Music. 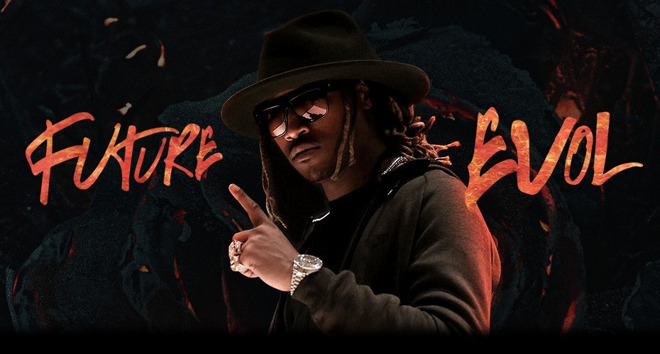 The album's release marks the second time that an Apple-exclusive from Future has reached No. 1 on the charts, matching his collaboration with Drake, "What a Time to Be Alive," from last September. Since the debut of the Apple Music subscription streaming service, Apple has had two chart-topping exclusives, both from Future. Apple executive Jimmy Iovine issued a statement on the success of the album to The New York Times on Monday, touting that Apple Music offers "a complete ecosystem that, when fully used by artists and labels, has extraordinary results." Timed exclusive agreements with artists are becoming something of an arms race in the digital music world, where major players are vying for streaming supremacy. Notably, rapper Kanye West released his latest album, "The Life of Pablo," this week exclusively on Tidal, a streaming service of which he is part owner. In addition, the previous No. 1 album— Rihanna's "Anti" —was also a Tidal exclusive. Like Apple Music, Tidal is available for $10 per month, but it also offers a $20 tier with lossless audio. Apple's exclusive deal with Future led to heavy promotion of "EVOL" across the iPhone maker's platforms. The Times noted that the album premiered in its entirety on DJ Khaled's Beats 1 radio show. Apple revealed last week that Apple Music currently has 11 million paid members. In addition to a $10-per-month single-user plan, Apple also offers a $15-per-month family plan that can be shared by up to six people.